Heeft u een vraag voor Redang Paradise Resort? 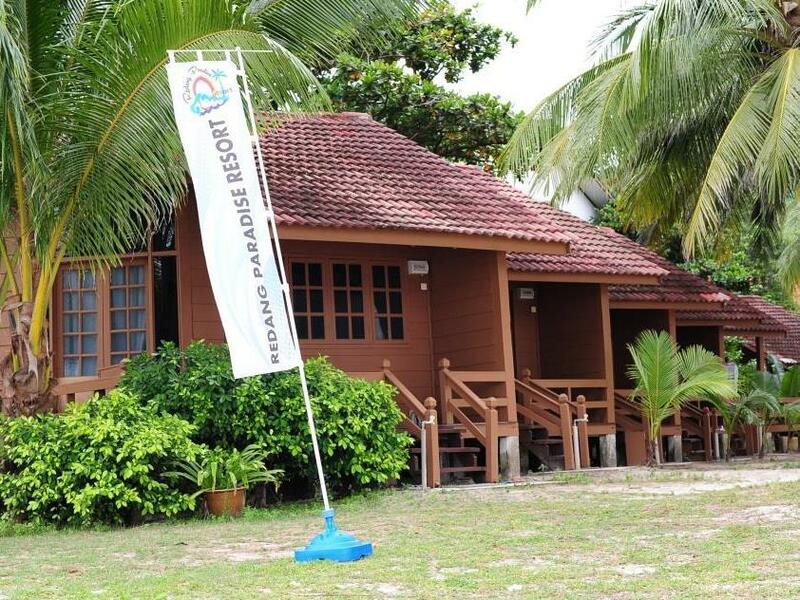 Profiteer van de ongeëvenaarde dienstverlening en voorzieningen in dit hotel in Redang Island. Terwijl u verblijft in deze geweldige accommodatie, geniet u van faciliteiten als gratis wi-fi in alle kamers, dagelijkse schoonmaak, 24-uur receptie, wi-fi in openbare ruimtes, familiekamer. Treed binnen in één van de 13 uitnodigende kamers en ontvlucht de dagelijkse stress met een breed scala aan voorzieningen, zoals plasma tv, internet (draadloos), draadloos internet (gratis), rookvrije kamers, airconditioning. U kunt de hele dag genieten van de ontspannen sfeer van de snorkelen, duiken, tuin. Het Redang Paradise Resort is een ideale verblijfsplaats voor reizigers die charme, comfort en gemak zoeken in Redang Island. Voor kinderen jonger dan 4 jaar die het bed met hun ouders delen wordt zonder maaltijden of een extra bed een toeslag in rekening gebracht. Neem indien een extra bed nodig is tenminste 1 dag voor aankomst contact met de accommodatie op. Ontbijt is alleen voorzien voor 2 personen. Bijkomende gasten zijn verplicht om ontbijtvouchers te kopen bij het inchecken. Vanwege het moessonseizoen kunnen de veerdiensten door het Marine Department geannuleerd worden. Neem voor meer informatie contact met de accommodatie op. Bij het kamertarief is voor slechts 2 personen ontbijt inbegrepen. Indien meer dan 2 personen in de kamer verblijven, dienen ze een ontbijttoeslag van 19 Maleisische ringgit per volwassene en 9,50 Maleisische ringgit per kind (van 4 tot 10 jaar) te betalen. Kinderen zijn gratis (jonger dan 4 jaar). Het was een fantastisch en optimaal ontspannen verblijf. Het personeel is heel erg vriendelijk, behulpzaam en gastvrij. Het eten is er heel erg lekker en van kwaliteit tegen een eerlijke prijs. De omgeving is een waar paradijsje. Dat het resort direct aan het strand ligt, maakt dat je je voortdurend in het paradijs bevindt. Je stapt je bed uit en kan de dag bewonderend beginnen. De sfeer op het eiland is bijzonder. Iedereen lijkt er gelukkig en blij. Wij zaten in een strandhuisje met prachtig uitzicht over strand en zee. Het huisje zelf was vies en bij regen lekte het op verschillende plekken. Het water drupte op de bedden, de grond. De douche was vies, het beddengoed vergeeld. Niet fris. Wij hadden "alleen" een kakkerlak in ons huisje; in andere huisjes van dit resort zijn ook muizen en ratten gespot. In het huisje geen kluis aanwezig. Het ontbijt bestond uit taai toast, gebakken ei, gebakken aardappelen, witte bonen in tomatensaus. Niet smakelijk. s'Avonds kon je hier wel super lekker eten voor een prima prijs. Overall rating is very good to this resort. we very happy stay there and next holiday we think to stay again to this resort. The staff resory especially to Mr. Man very helpful to me. They assist us from morning until night to go the beautiful place that we need to go without any charge. a lot beautiful place we already go especially playing with turtles and see the blue sand at the sea area. Thanks to the resort staff. 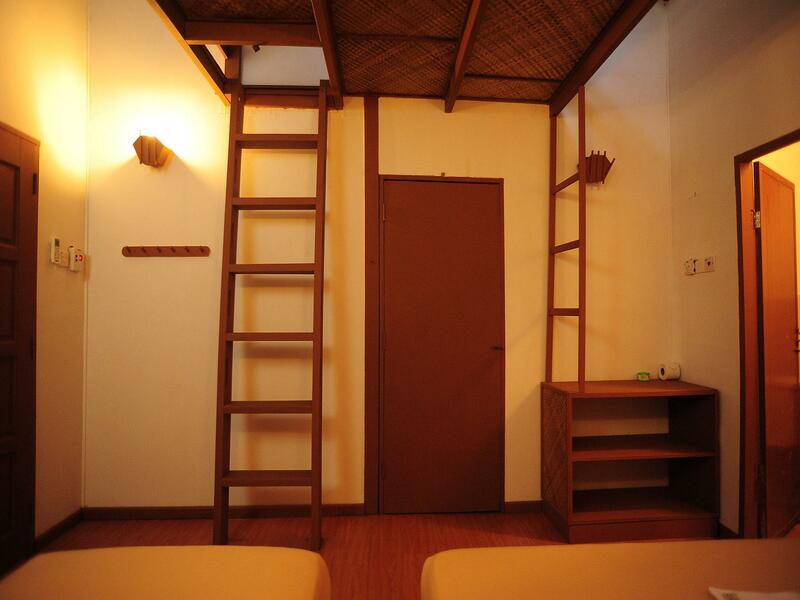 This hotel is below the standard of a simple hostel. I still fail to understand how they can charge 80+ EUR/ night for what they offer. The place lacks basic hygiene, there's dirt, dust, rust everywhere. The pillow cases have large yellow stains on them, the bathroom is filthy, with broken appliances. If you want to catch an infection, this is the place to go to. We left the place after the 1st night and we are still fighting to get a refund for the nights we did not stay for safety and health concerns. Neighbouring properties offer incomparable quality and much better value and service for less money. This "hotel" should not be offered on any accommodation website at all. It's an insult to any online travel booking platform. Spend 3 days 2 nights at this lovely resort. Good location right in the middle of pantai pasir panjang. Staffs are great, helpful and friendly. Resort manager Hiew always around the resort and able to answer and help us with our needs. The only thing the resort could improve is to include the free boat transfer from mainland in its price. Will come again. The location on the beach is fantastic, the Chinese food is good and the staff (and owner) are extremely friendly. 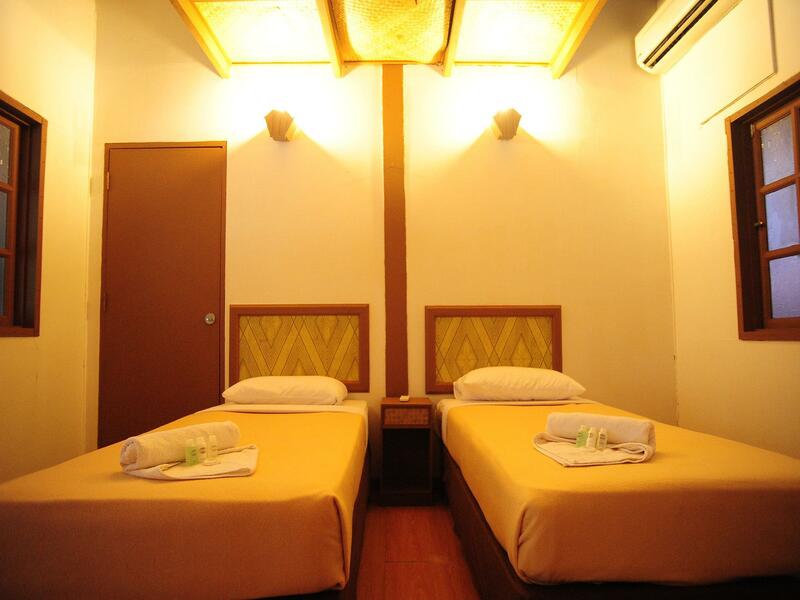 The hotel is relatively small with about 20 chalet type rooms facing a beautiful bay with white sand and easily accessible coral reef just offshore. The rooms are basic and the bathroom is small. There is no mini-bar or kettle for coffee/tea etc. However, in the restaurant there is as much water, juice and tea/coffee as you want. The location of the hotel just behind the beach is fantastic. There is an extensive Chinese menu that is good,as are the breakfasts. However, the kitchen does not provide 'western' food for children at lunch and dinner time. So, we walked down the beach to a hotel where we could get burgers, chicken nuggets, pasta, etc., for the kids. The hotel would benefit from: Some western food for children. Sun loungers and umbrellas for sitting/reading on the beach. At present you have to read in your room or in the restaurant. A bar that serves more than soft drinks or tins of beer. Sesuai untuk family. Dont expect more. The chalet is well located right on the sandy beach. The room was old with a noisy aircon. No housekeeping was offered during our stay. The staff was friendly and helpful. We ate most of our meals at the restaurant and they were good. location is great, right on the beach. try early morning swim near the big rocks to the right, lots of fishes there. bring some bread if you can. food is quite nice, but about RM13 for a plate of fried rice/noodle. understandable though, it's an island, can't expect things to be cheap. water pressure is not very good and water smells funny, but i don't really mind because i didn't expect a luxurious holiday at a 2 star accommodation anyway ;) staircase to the upstairs beds was a bit difficult to climb, be careful. but it's nice to sleep up there. toilet is rundown but not as dirty as some reviews claimed. they did a good job cleaning it before we checked in. It was really a pity that the staff are so nice, the location is perfect but the resort really run down. The toilet is dirty and could see some black small creature crawling on the floor. The worst thing is the the water smell of karosin, and one point of time the water supply was interrupted when we were having shower. The TV is not working too. I think the resort seriously need t upgrade and renovate. Accommodation is basic, but perfect location (apart from the Karaoke bar a few doors down which can keep rocking up until 12:30AM). The staff are lovely and really helpful. The snorkelling guides showed us a moray eel which was just amazing. The resort restaurant's Thai food is great and is much better value than the western food found at other resorts. Highly recommend. The resort is very close to the beach and we can see sunrise in the morning. There is a pipe for us to wash away the sand before entering the room. There is only one plug and the tv seems like not getting signal. The toilet is not very clean because of the sand. The room is very romantic as the lamps are dim. The food is nice. the staffs are good and the snorkelling guides are professional. So the overall is good. My girlfriend and I stayed for two nights. The location is great. Right on the beach. The restaurant on the facilities served very good food from a wide variety of items. Mostly Chinese style. The facilities however are average. Rooms are dated. Internet is average at best. Sometimes not able to connect. All in decent value for the money. 5 reizigers vonden deze beoordeling nuttig. Wat vond u? 1. Activities are rather cheap. Look for Frankie, the manager. Unexpectedly good. 2. The resort operator needs to invest on landscaping and proper housekeeping to ensure rooms are clean and fresh bed sheets/towels/ comfortable mattress. Unexpectedly bad. 3. The beach in front of the resort is the best. Unexpectedly good. 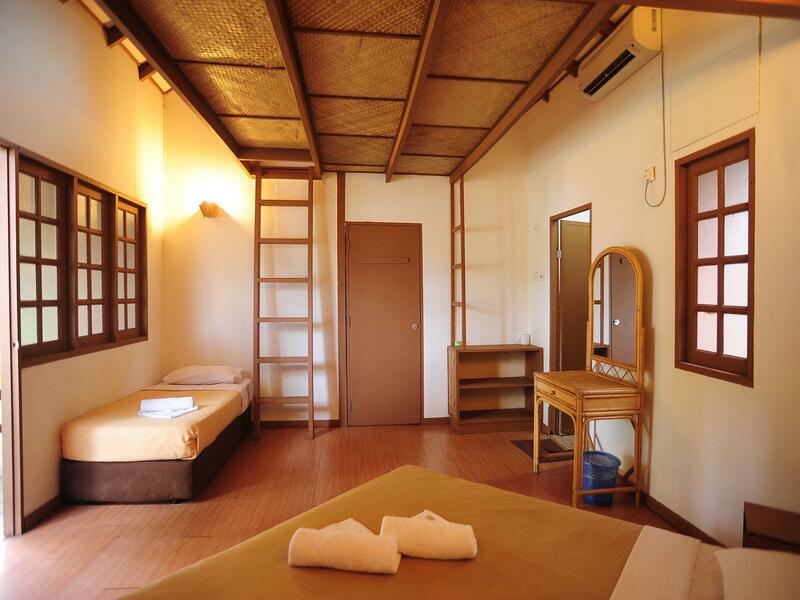 Staff are not friendly at all, lousy room (dirty, furniture defects, bed got ants & insects). My booking stated 5 person in a room, so should have 5 breakfast but they only provided 2 breakfasts. Also they charged GST for the food without printed tax invoice (receipt in hand writing)! We will never ever return to this resort again!! !